HTC Vive dropped a major announcement at a recent press event in San Francisco. The virtual reality (VR) system company will be releasing their premium VR experience series designed specifically for the enterprise market. This includes a new platform, hardware, and software for commercial use. The products enable companies to create, collaborate, and engage with both employees and customers through VR applications. Companies such as SimForHealth and the Volkswagen Group are already implementing Vive’s products for training, simulation, and product design. All offerings are powered by the Qualcomm Snapdragon 835 Mobile VR Platform. The new line of premium products includes the VIVE FOCUS, a standalone HMD; VIVE WAVE VR SDK, an open VR platform that allows developers to create content for standalone devices; and VIVE Sync, a collaboration tool for enterprise. The VIVE FOCUS is ideal for businesses that want a mobile VR experience. It offers a complete standalone VR experience available for businesses on the market today. The Focus features a combination of power and portability, plus the highest resolution graphics available on a standalone handset without the need for a PC. No need for external base stations or sensors here either. Businesses can enjoy instant standalone VR with the dual 3K AMOLED screens, interactive tracking, and Snapdragon 835 Mobile VR Platform. The graphics are at par with professional-grade VR systems, such as the Vive Pro, with a resolution of 2880x1600. It also features innovative world-scale tracking with a 110° field of view. If you’re concerned about how this can potentially affect your employees or customers, check out this ProjectBoard on how to address VR motion sickness here. The device can last up to three hours of active use on a single charge. 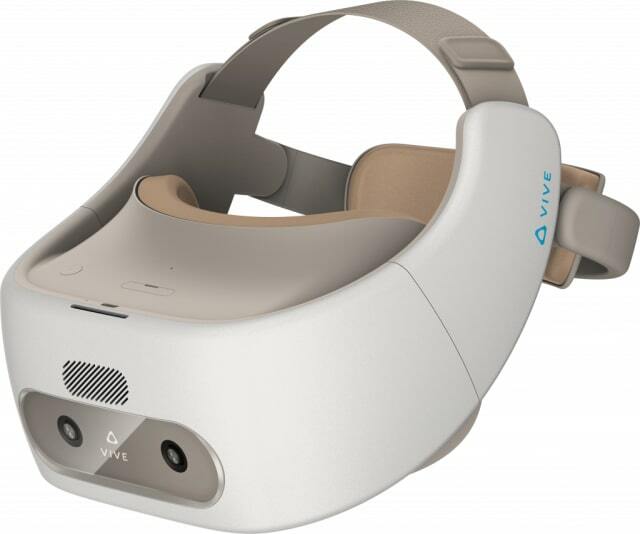 The Focus can be paired with the Vive Enterprise Advantage professional services program, which has two tiers of commercial licensing, plus dedicated support, and service utilities for Vive enterprise hardware products. It will be available in 37 markets worldwide. The VIVE WAVE aims to bring together the mobile VR market, enabling developers to create content under Viveport, which acts as a common platform and storefront across various hardware vendors. It offers an open interface, allowing for interoperability between numerous mobile VR headsets and accessories. This means VR content developers can efficiently develop, port, and publish content to a broader reach of potential customers across multiple VR headsets. There are currently over 150 applications available, with more already in development. The platform, Viveport, is currently deployed on five stand-alone devices worldwide. Since the launch of Wave, 15 hardware partners have already announced their support and are working on the integration of Wave into their products. Among them is Shadow Creator. The Shadow VR all-in-one HMD is equipped with a Snapdragon 835 Mobile VR Platform and Fresnel ultra-thin optical lens. It uses a holographic 3D UI Blue Cat, which includes 6 degrees of freedom (DoF) capabilities. A 2K HD display provides a clearer and more realistic picture experience, while the dual-speaker stereo sound effect makes it a totally immersive experience. The Shadow VR has 6DoF controllers, which uses a nine-axis high-precision gyroscope, ray tracing, and a button layout compatible with most VR controllers today. 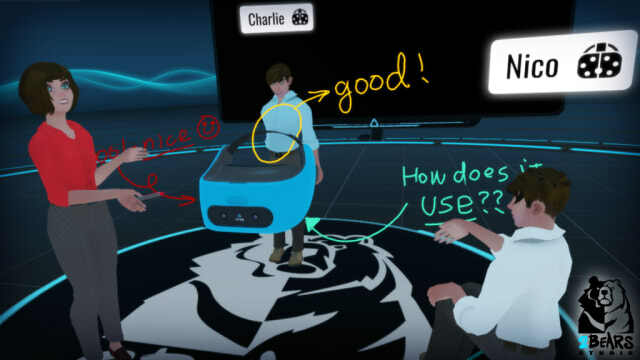 The VIVE Sync was specifically designed as an intuitive collaboration tool for enterprise. With a VR collaboration and meeting application, internal teams can meet in a virtual shared space. This can improve communication within organizations, and ultimately speed up productivity. A number of partners have already announced their support for Vive Focus in their enterprise efforts. These new series of products and applications reinforces Vive’s commitment to bringing VR to businesses of all sizes, and what it can do for the enterprise market. With that, check out this story on why VR Isn’t Just for Gamers.